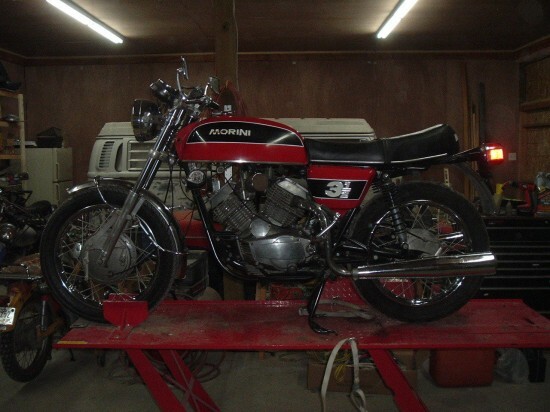 Wow, two Moto Morini 3½’s in one week! These are cool bikes and can be hard to find, although prices have stayed relatively low, in spite of their rarity, and offer a great value if you’re looking for a classic twin and want something unusual to ride around on. In case you missed the 3½ that was posted up here earlier this week, the number refers to the approximately 350cc displacement of this little v-twin from one of the forgotten Italian marques. Moto Morini is sort of still making bikes, but they’ve definitely gotten caught up in the “bigger is better” craze, and it’s probably much simpler to just buy one of these. I bought this bike (for the second time) in 1994. 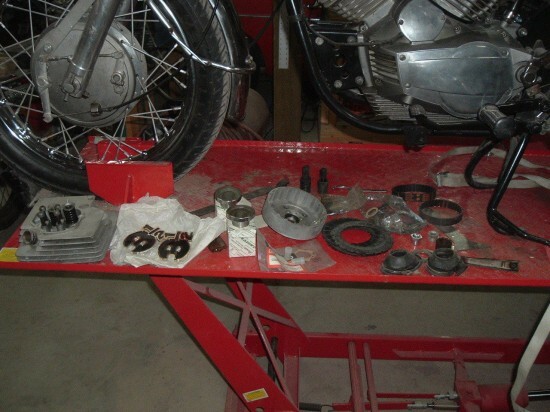 Took it apart to fix some minor oil seepage in 1996, replaced seals, and didn’t put it back together until 2010 or 2011. Reassembled and briefly ran it to make sure I hadn’t lost any parts, then took it back apart intending a full restoration. Tore it back down. 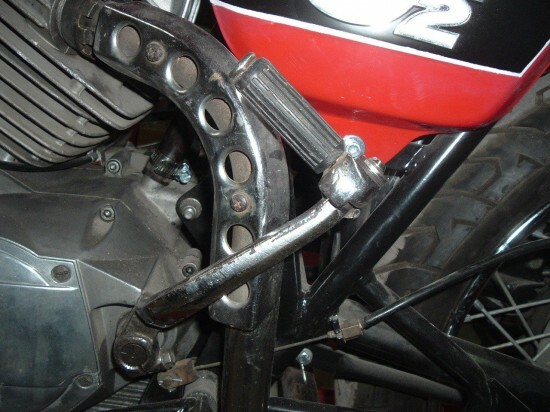 Had frame and pegs, engine mounts, etc powder coated. Painted tank and side covers (not a professional job, I’d rate it a good 5 foot paint job). Intended to replace pistons (useable, but not great) with Sport and also Sport cam. Changed my mind and put it all back together. Too many projects, too few resources (time/money), so I’m selling this to finance other projects. Last week, I put oil in it. It has a small weep at shift shaft. May be due to seals sitting dry since 1996 or maybe I dinged it putting it together. Put gas in it the other day thinking I’d fire it up and set the timing, but then thought I’d better not. I DID NOT clean the sludge trap in the crankshaft. After this many years idle, I think it would be too risky to run without doing so. Also, the timing belt looks good but is at least 20 years old. 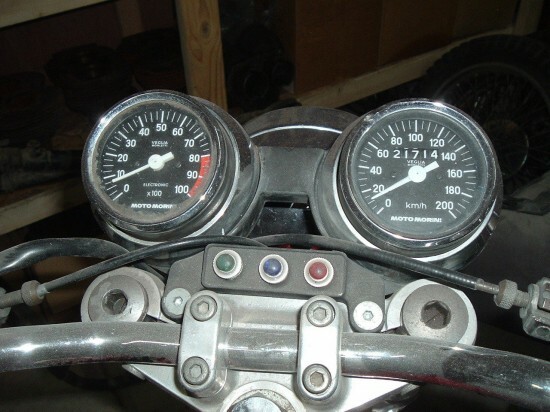 It has good compression and spark,and shifts through the gears but I won’t run it without doing those 2 things. It needs fork seals and wipers. I intended to replace the fork tubes. They have dings between the triple clamps. I suspect someone used a pliers on them at one time. The kickstart lever needs to be rechromed. Wheels are very nice for their age. To the best of my knowledge, mileage (in kilometers) is accurate. Has both the Strada and Sport seats, some spares I’ve picked up over the years, the few special tools needed for engine overhaul, and all three manuals- service, parts, and engine overhaul. I realize that modern discs do a much better job stopping you, but there is something really appealing about the huge front drums on old Laverdas, Guzzis, and Morinis. 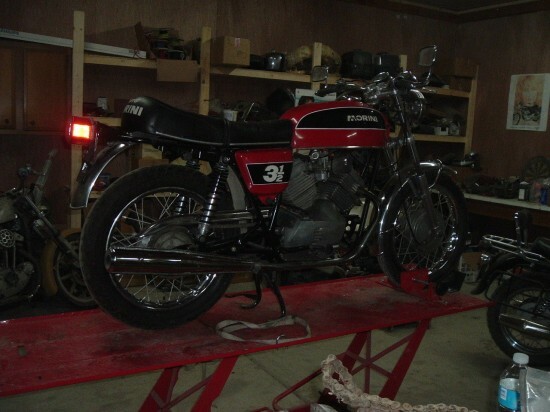 While this bike does need some work before it’s ready to demonstrate the handling for which it is so well known, the seller appears to be representing the bike fairly. He mentions a “reasonable” reserve, so this might be a great chance to find out if those cool Heron-style heads really are interchangeable front and rear! Bidding is at just under $1000 with the reserve not met yet. I’d say that, if you have a couple grand burning a hole in your pocket and some space in your garage, you should keep an eye on this one!